Full Service Cooling Repair, Replacement, and Maintenance to Customers in Cary, Garner, Holly Springs, Apex, and Throughout the Surrounding Areas. Full Service Heating Repair, Replacement, and Maintenance to Customers in Cary, Garner, Holly Springs, Apex, and Throughout the Surrounding Areas. 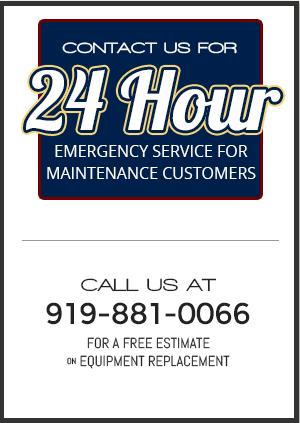 Serving customers in Cary, Apex, Holly Springs, Garner, Fuquay Varina, and throughout the surrounding areas. Welcome to Homeplace Heating & Air, your source for comprehensive, personalized HVAC service, maintenance, installation, and repair. We take pride in serving all residential and commercial customers’ needs with any major brand of HVAC system. At Homeplace, attention to detail and personal service are the hallmarks of our business. Unlike many larger companies, we will always send the same technician to service your system so that you enjoy consistency of service and your technician has prior experience with your equipment. Whether you need a one-time repair, a full system replacement, or a regularly-scheduled maintenance check, Homeplace Heating & Air is your source for the highest quality, personalized assistance. Call us today at 919-881-0066 for a free estimate and let Homeplace Heating & Air handle all of your HVAC servicing, maintenance, and installation needs. Homeplace Heating & Air is a small, family-owned and operated business serving the heating and air conditioning repair, maintenance, and installation needs of customers in Cary, Apex, Holly Springs, Garner, Fuquay Varina, and throughout the surrounding areas.